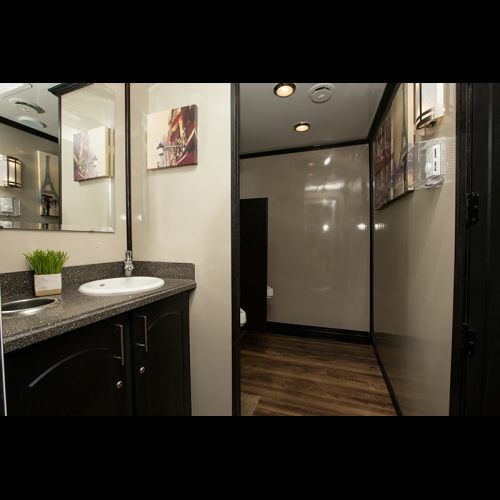 Women's side has 4 toilets, 2 sinks, Full size mirrors, solid surface counter tops, and ample room to move about. 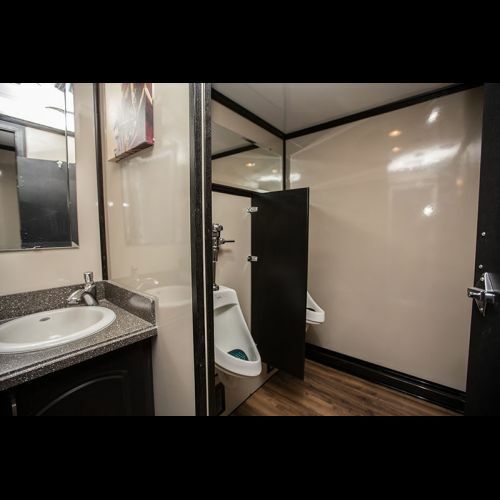 Men's side has 1 toilet, 2 Urinals, 1 sink with solid surface counter tops. 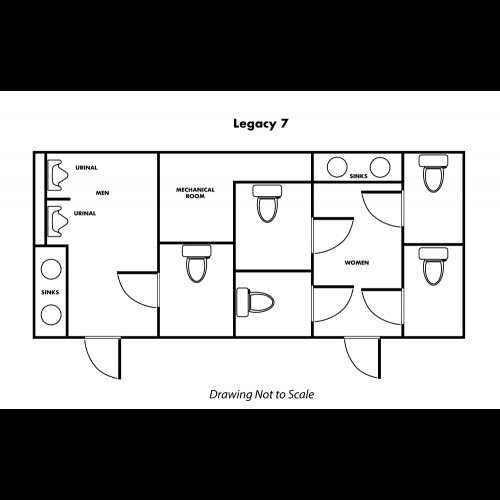 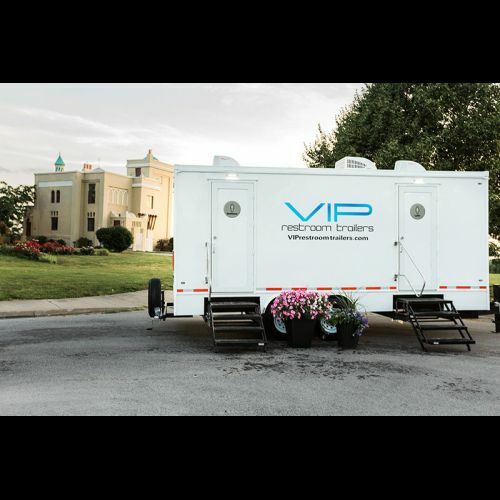 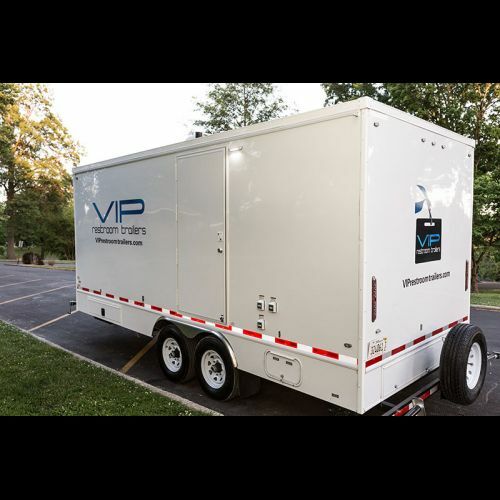 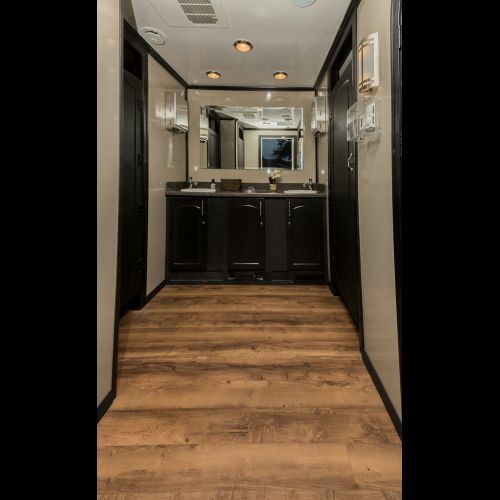 Entire trailer has an upgraded interior package, air conditioned, heated, has warm running sink water, and an audio system. 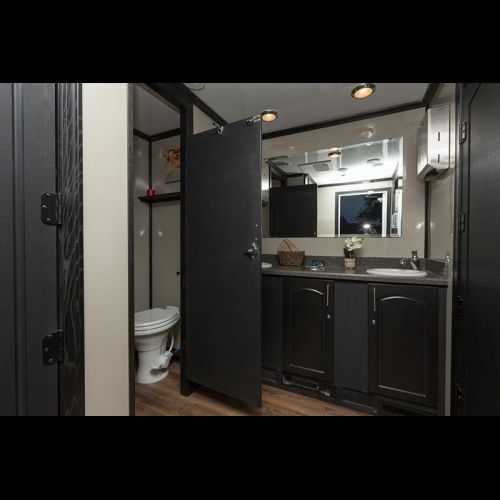 Trailer also has a water tank system for those times when you can not be close enough to a water hydrant.